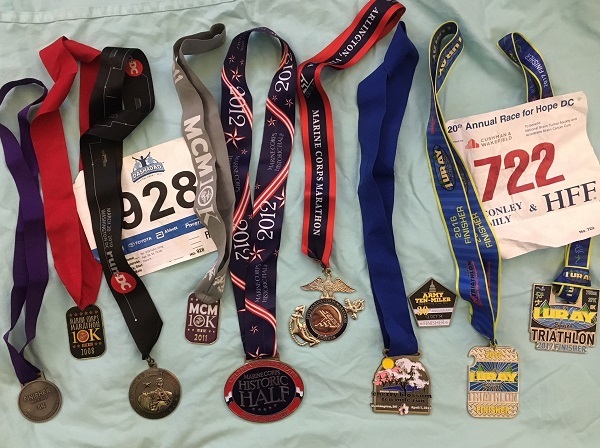 Since the fall of 2016, I have run 4 marathons and 2 half marathons. 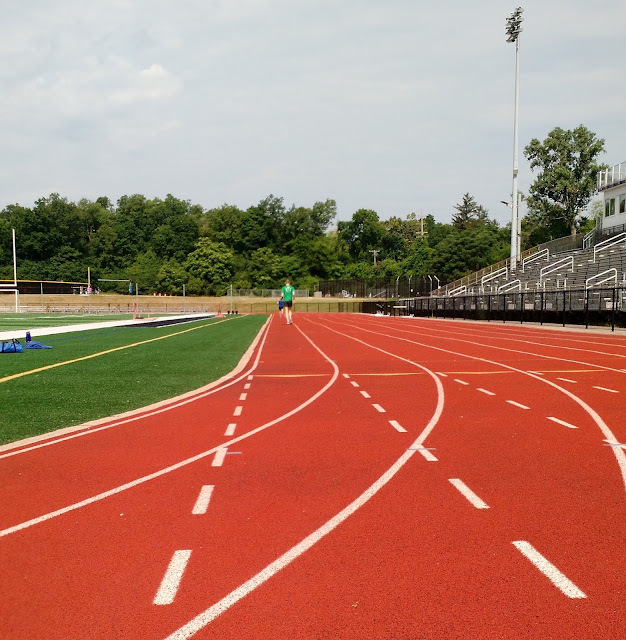 After finally achieving a Boston Marathon qualifying time in May, I decided to break up the monotony of marathon training by training for the mile. I have never been a miler, and I had only run one timed mile with all-out effort in my life. That was in high school, when, after a couple weeks of "training" in gym class, I ran a pedestrian 6:38. I have done mile repeats during marathon training and managed a 6:30 best earlier this year, according to my Garmin watch. If I could run a 6:30 without going all-out, I figured, "Why not see how fast you can go for one mile?" I just finished my 15 weeks of mile training (using a self-made plan, with guidance from books by Jack Daniels and John Davis), and here's what I've learned. Apparently, it's true that you lose speed before stamina as you get older. Now that I'm 44, I guess I don't have what I used to have. I was never a sprinter, but I goofed around on tracks and think 22-year-old me would beat current me in a 200-meter sprint by 50 meters. The first time I did 200-meter repeats at my goal mile pace, I thought I was sprinting like Usain Bolt. I was shocked when I looked at my watch and found that my 200 time might be good enough to qualify for the NCAA finals . . . in the 400 meters. I told myself it was just rust, and that the next one would be faster. It wasn't. I was humbled. I now realize that I look a lot more like Mike Myers as Middle Aged Man (go to 0:35 at this link if you don't get the reference) than Usain Bolt when I do 150-meter to 400-meter repeats. World-class distance runners are fast. Really fast. Not-sure-if-they're-human fast. I assumed that with my 3:18:48 marathon PR, I could easily transition into running fast shorter distances. When I heard about someone running a 17-second final 100 meters during a 10K, I used to think that was fast, but not that fast. Considering sprinters can run 100 meters in less than 10 seconds, I thought I could easily do a 17-second 100 meters the first time I tried. Not. Even. Close. During one of my first speed workouts, I ran 8 x 300 meter repeats. If I could maintain my average speed for those repeats for a marathon, I would run a 2:34 marathon, or 15 minutes off the B standard for the U.S. Olympic marathon trials. Elite marathoners are from another planet. 150- to 500-meter repeats require serious recovery. I never expected shorter distances to be as hard as they are. 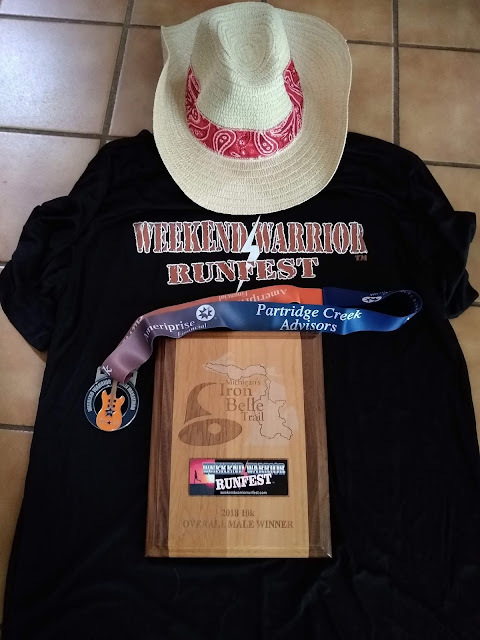 I thought they would be challenging, but that I would bounce back quickly, since I was used to running 60 miles or more per week. Wrong again! My legs are sorer after interval work than they are after any long run during marathon training. I kept telling myself that it was muscle adaptation and not my Middle Aged Man deteriorating body. Even though my repeats did get faster, the recovery time never got shorter. I don't have racing spikes, but these lightweight flats felt good on the track. 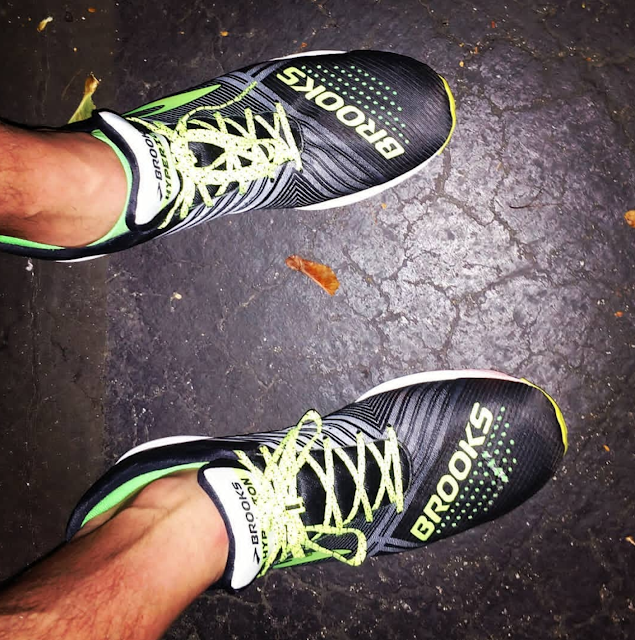 Once I came to grips with my lack of speed, running as fast as I could for short distances was fun and empowering. Shorter workouts require less long-term focus on hitting splits. Instead of 10 to 20 miles thinking about maintaining the proper pace and form, I could just go without worrying about splits until I checked my watch at the end of a couple hundred meters. I didn’t hit my goal every interval, but seeing my splits get significantly faster over weeks of training made me feel a physical strength I hadn’t felt since I was a rower in college. 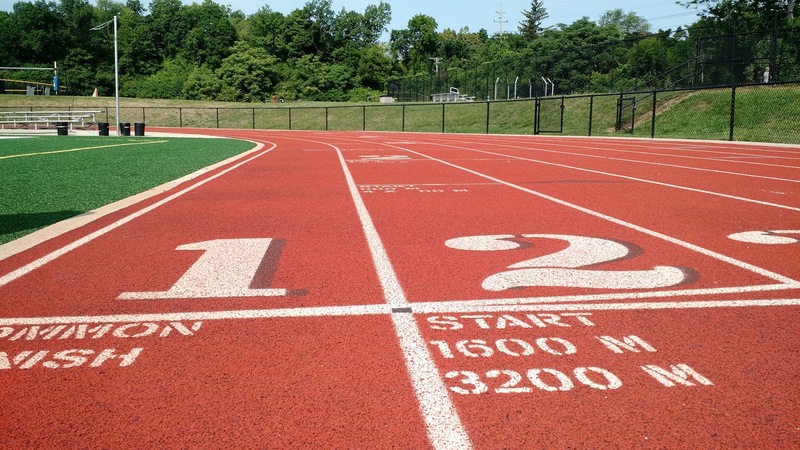 There is little room for error when running a mile. I don’t think I ran my fastest mile for my fitness level, because my first quarter mile was too fast each of the three times I attempted an all-out mile. Unlike a marathon, where I can settle into my pace after a slightly too fast first mile, a too fast first quarter just made each successive quarter harder and slower. 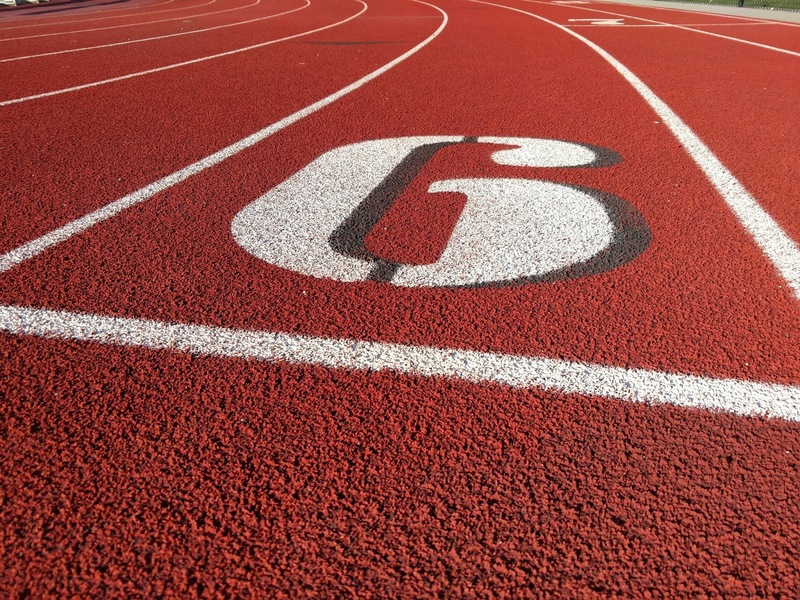 I ran a smarter first quarter each time I attempted the mile and improved my mile time each time as a result. It took me a few weeks of training to set a goal, because I really had no idea what kind of speed I had, or lacked, until I did my first few interval workouts. I eventually settled on a 6-minute mile goal. On my last attempt, I went out a couple seconds too fast on the first lap. I settled down too much on the second lap, but I managed to pick it back up the final two laps and crossed the line in 5:56.5. I still think I could have gone a little faster, but it feels good to be faster at 44 than I was when I was 14. I’m now transitioning back into training for a half-marathon and marathon training, and I hope this newfound speed will help me reach new heights in the marathon.